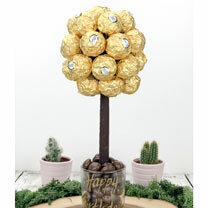 Personalised Ferrero Rocher sweet tree, a great gift idea for those with a sweet tooth. 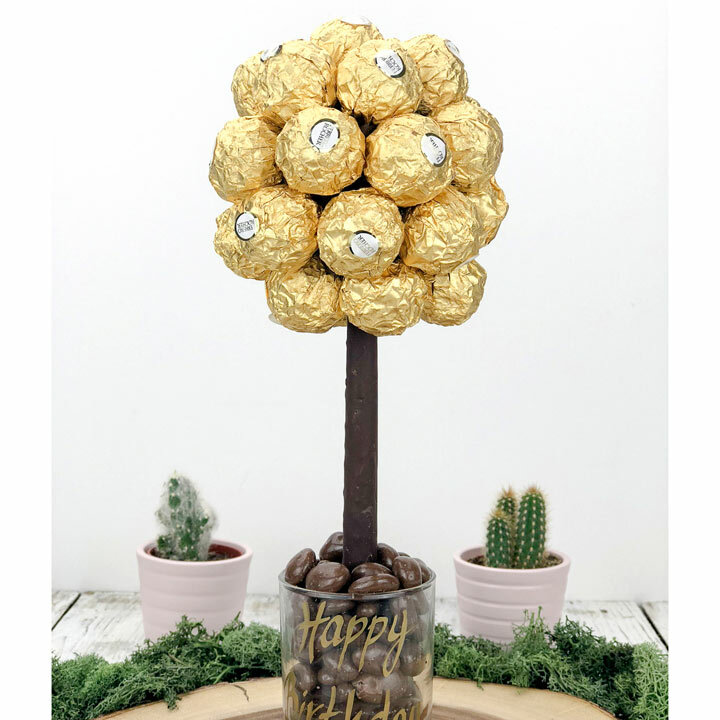 Beautifully presented in the style of a tree, the vase base can be personalised. Height 25cm. Personalisation: name/message up to 22 letters.